Transform the way you grow your food and multiply productivity in your backyard, market garden or large-scale farm. The word ‘Syntropy’ in an agroforestry concept which refers to “increasing complexity” or bio-diversity within the system. 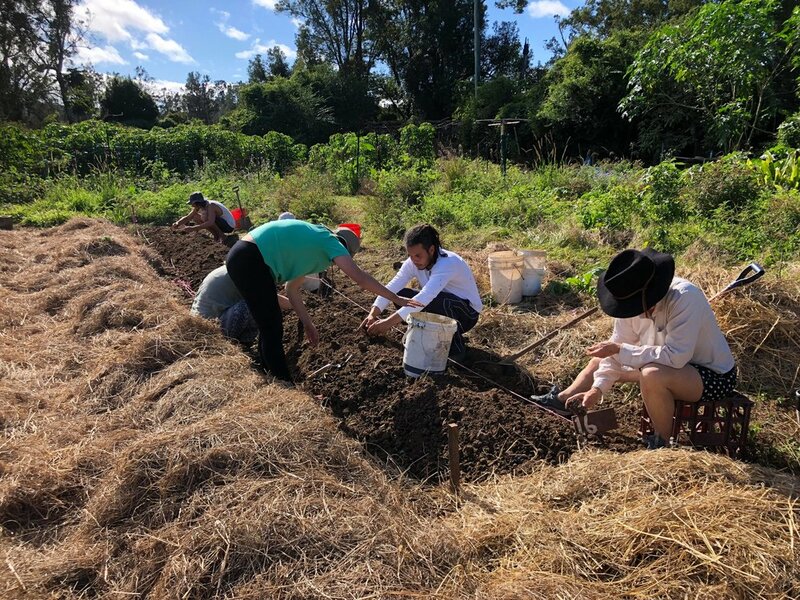 As an innovative approach to regenerative agriculture, Syntropic Farming allows us to create dynamic, successional, and economically viable ecosystems that restore degraded soil biodiversity. What makes Syntropic farming unique is that it emulates the growth of the rainforest, one of the most bio-diverse systems of life on the planet. By understanding and respecting nature's complex system and copying how the rainforest functions, we can save massive amounts of water on our crops or orchards, eliminate the use of chemicals and considerably reduce financial and labour cost. For more details, please have a look at Thiago's personal welcome and the course schedule. Thiago Gimenez Barbosa is a Syntropic farming pioneer in Australia who is helping to spread the knowledge of this unique farming system and teaching farmers and backyard gardeners to apply the principles in different regions and climates around Australia and the world. Thiago grew up growing food with his grandparents in the countryside of Brazil. 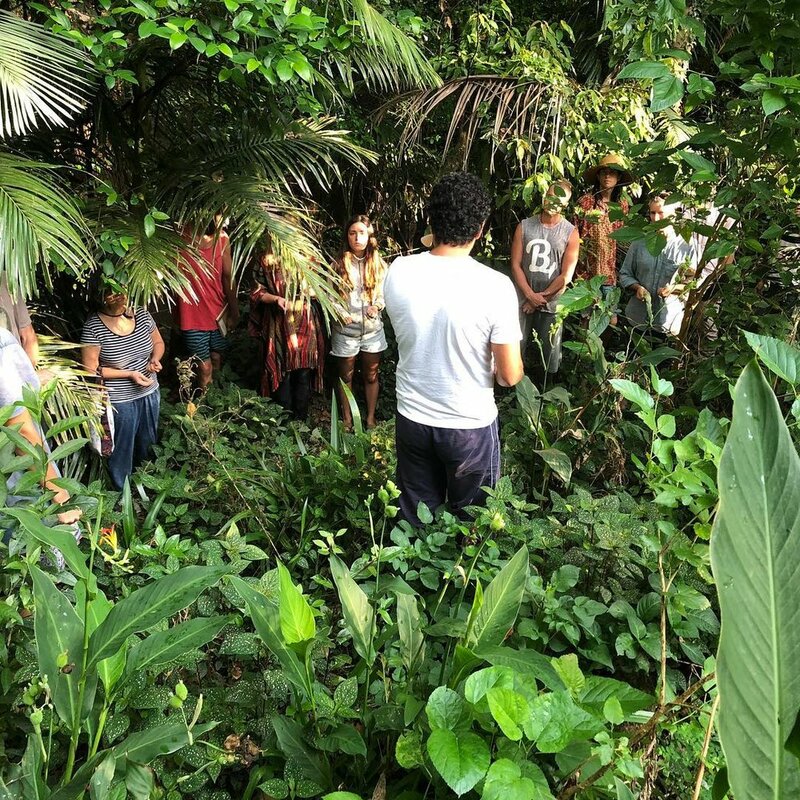 He fell in love with the principles of Syntropic Farming and over the last years has been visiting and working with Ernst Götsch and other teachers and farmers across Brazil to improve his knowledge and skills. 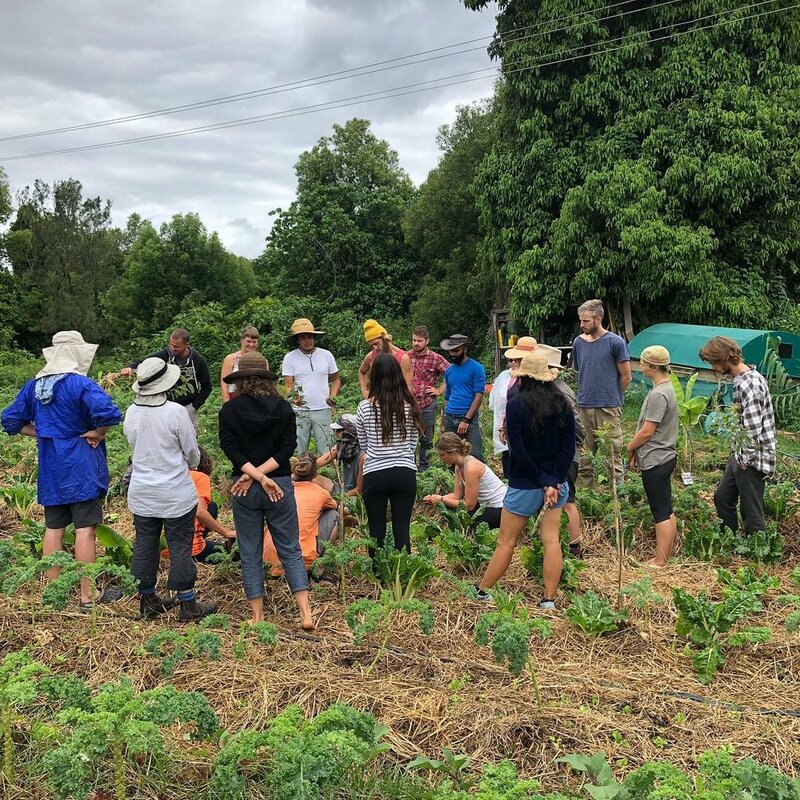 He facilitates workshops throughout different regions and climates in Australia and helps farmers transition from conventional to regenerative practices using Syntropic Farming principles. 15 hours Syntropic Farming instruction with Thiago Gimenez Barbosa from Syntropic Farms Co.
To find out more, please have a look at Thiago's personal welcome and the course schedule. Krishna Village volunteer Siana has assisted Thiago in the Syntropic gardens for 4 months and, in her own words, finds that this type of farming is the only one that makes sense: Imitating what nature does best, while working with nature rather than against it. The cost of the weekend course depends on the accommodation type you choose. 3 meals/day and optional yoga classes are included in each option. Please click the below booking buttons to see the different choices. As a permanent eco yoga community and retreat centre, we provide classes ongoingly for all guests, taught by a variety of teachers. On Mondays, we run an 11am Welcome Tour for all visitors and introduce you to our program and our way of life. To get an idea about our program outside of the Syntropic Farming Course, please have a look at our activities overview and read our info page about Bhakti Yoga culture. As a course participant, you are welcome to join all those additional classes. Located between Byron Bay and the Gold Coast, the Krishna Village can host up to 75 people in a combination of rooms, dorms and camping spots. All rooms have shared amenities. The amenities block includes showers, toilets and a coin operated laundry (byo laundry powder). All rates include 3 meals/day and all yoga and other classes. The Krishna Village has 9 double rooms (one big bed), 5 twin shares (bunk bed) and 11 single rooms. They are all set in former shipping containers that have been renovated and turned into simple but comfortable accommodation. Bedding is being provided, but you need to bring your own towels and toiletries. Set among beautiful mango and lychee trees in our eastern garden, our camp ground can host up to 20 tents. The van area for up to 10 camper vans is equipped with electricity. The amenities block is only 50m away.